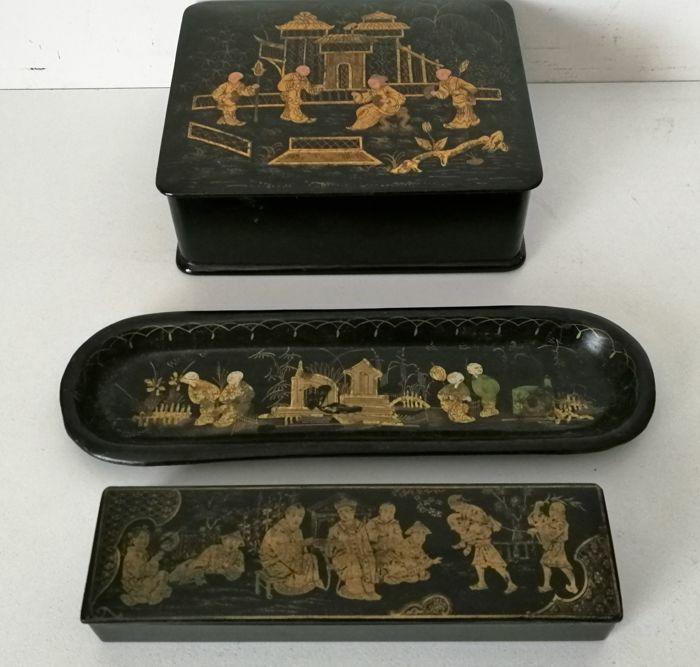 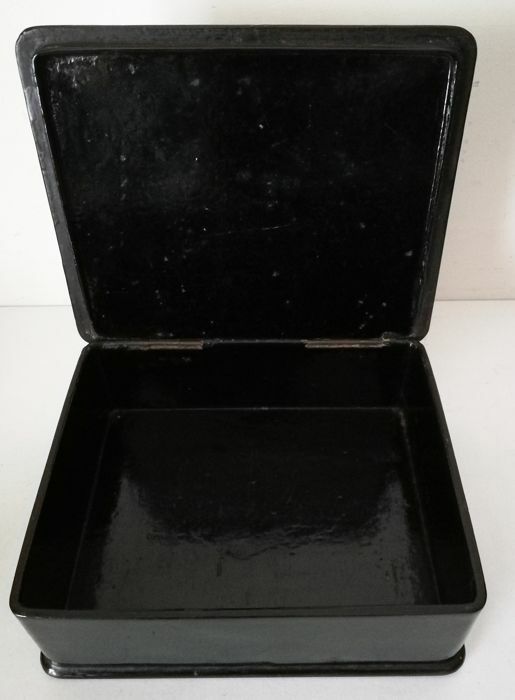 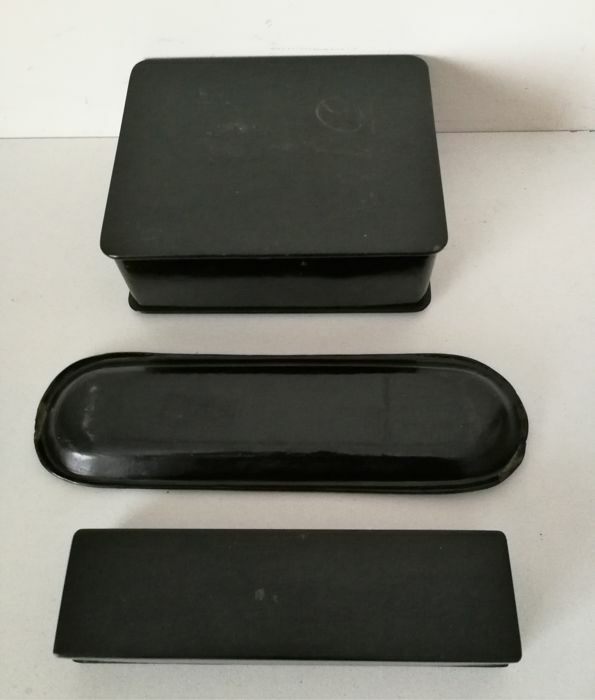 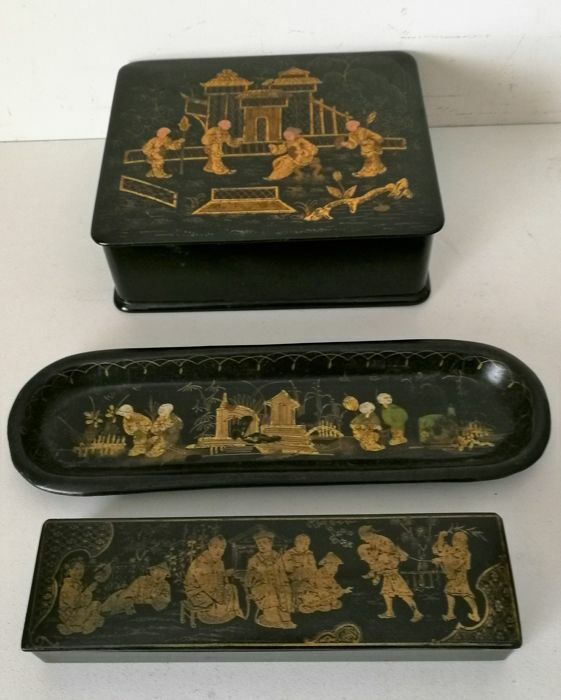 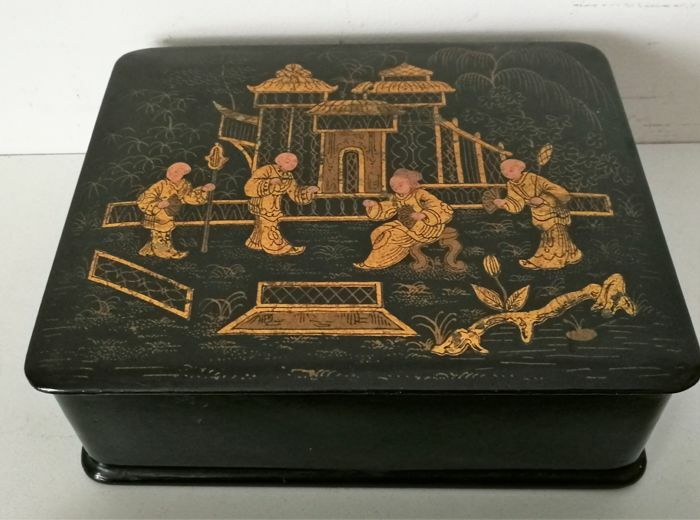 Three beautiful wooden lacquer items, including jewellery/storage box, pen holder and pen case with compartments. 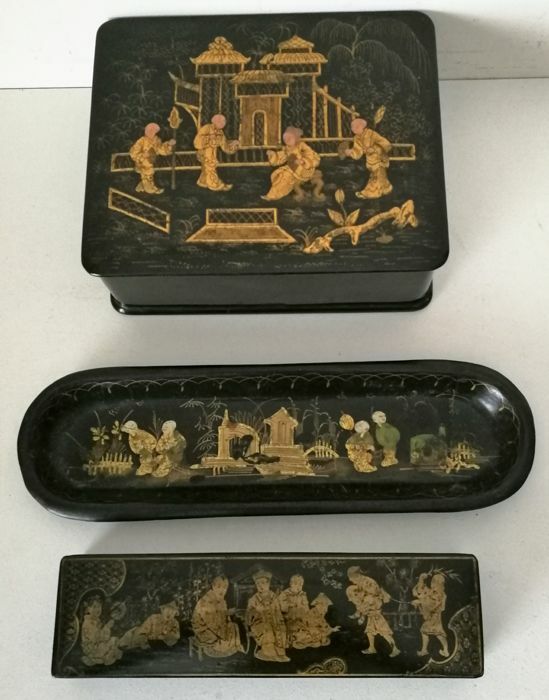 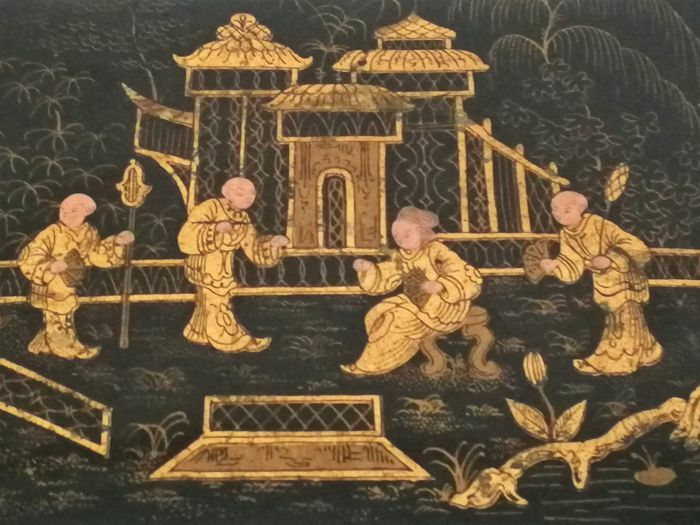 All in very nice condition with beautiful painting. 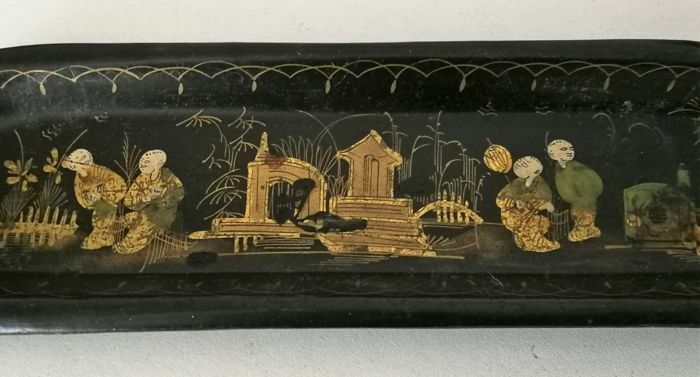 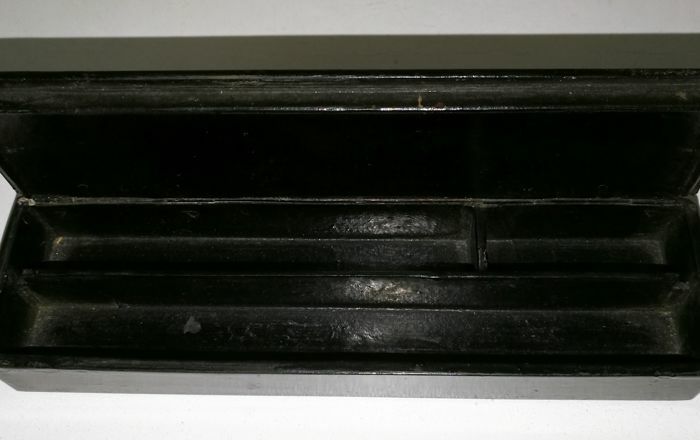 Pen case: 20.5 cm long.